But! The universe listens, my friends. A few months ago (okay, a year ago), by friend Amy Rose handed me a book called All Our Pretty Songs by Sarah McCarrt and told me to read it ASAP. I didn't. I am terrible and full of regret. It's still sitting on my shelf, although it's now at the top of my TBR stack. It's the first in a trilogy, and the third book, About a Girl, had its cover reveal over at MTV today. It's beyond thrilling to not only see greater LGBTQ representation in books and on covers, but look! Characters who aren't white! This cover wins on so many levels. I trust that this will only be one of many diverse covers that we'll be seeing from now on. Also, want to support diversity and diverse authors? Give to the #WeNeedDiverseBooks indiegogo campaign! 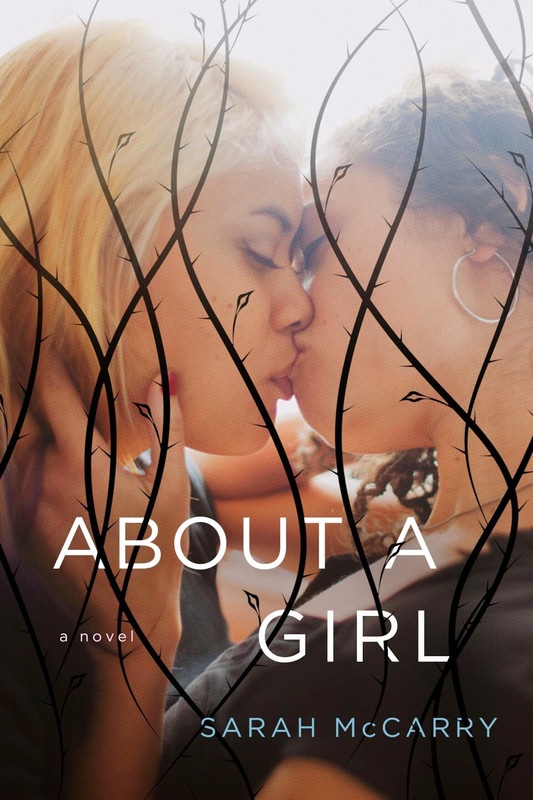 About a Girl will be out in July. Which gives us pleeeeeenty of time read All Our Pretty Songs and Dirty Wings. Go get 'em. About a Girl...definitely a hotter kiss than Two Boys Kissing*. *Not that I'm like, biased or anything.